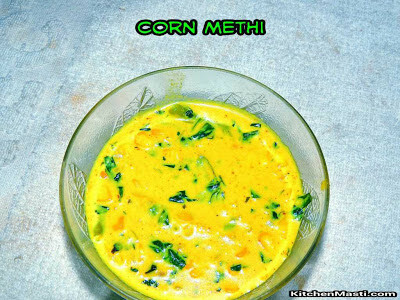 Corn Methi is a unique Punjabi Gravy which I borrowed it from my friend who is staying in Punjab. Its a quick and easy dish to prepare. As methi is added to this gravy, it enhances the taste and also your health since it is rich in calcium source. Milk is another source of calcium which is also used in this dish. corn - being another source of calcium, this dish gives you adequate calcium quantity. So, on consuming this dish, your calcium requirements will be taken care of. Why I personally like this dish is because unlike in other gravies, you need not spend your time in preparing onion paste, tomato paste and so on. Boil the corn kernels separately for around 5 minutes. Or you can even Microwave it for 2 minutes. Heat a pan / kadai and add oil in it. 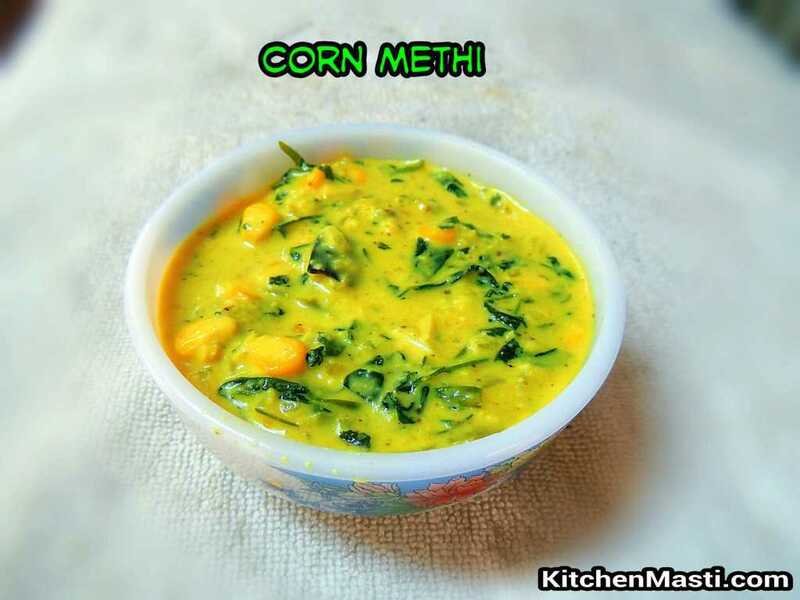 Add the boiled corn kernels and washed methi leaves. Pour the milk and stir it properly. At this stage , add 1 tsp of butter to enhance the punjabi flavor. Add kasuri methi and fresh cream finally at the time of serving. 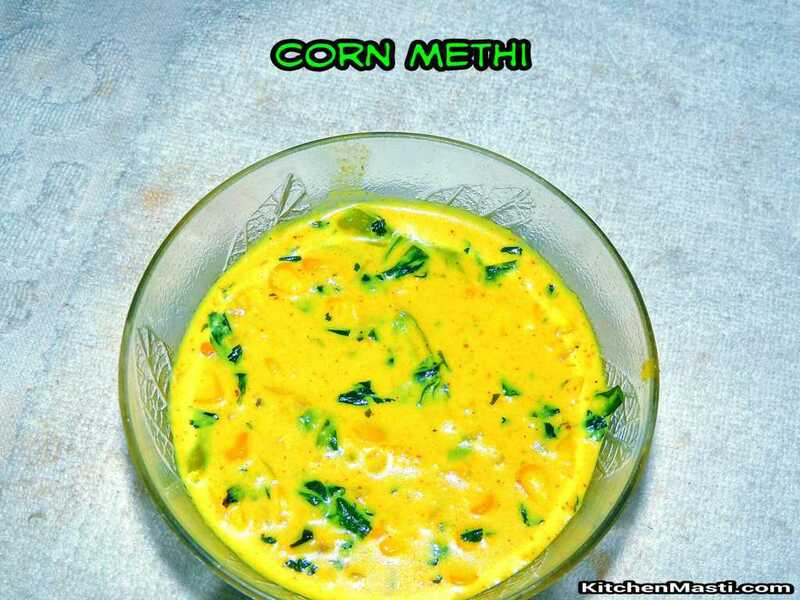 Corn Methi is now ready !!!!! In this gravy, the cloves and cinnamon should not be added first during the time while frying onions. It should only be added in the final stage because this flavor should not overcome the methi's flavor. Garam Masala should be added in minimum quantities so that it should not dominate the other flavors. In punjabi gravies, butter should be compulsorily added. I have added only 1 tsp of butter. However, if you are not that health conscious you can add another 2 - 3 tbsp of butter. Note : If you like the tangy taste, you can add 2 tsp of curds also, but I would recommend not to use it.